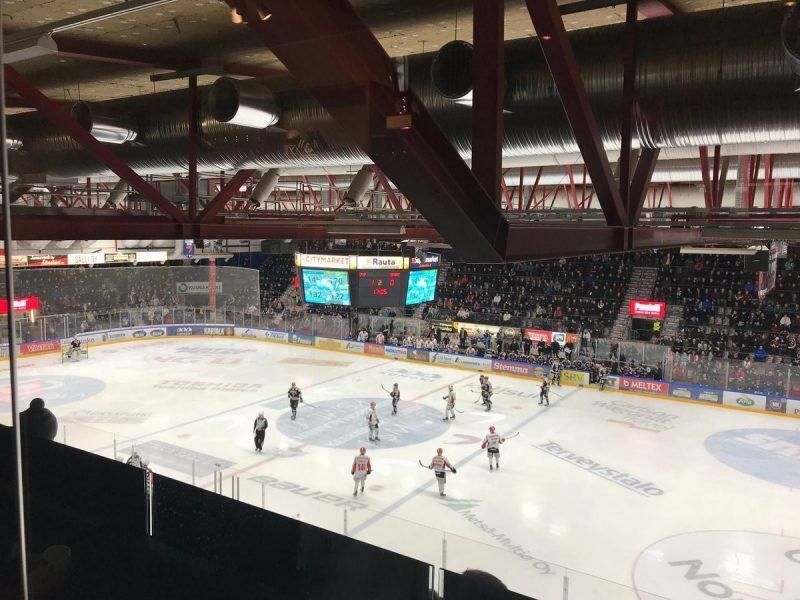 Firstbeat have worked with Finnish Ice Hockey team JYP Jyväskylä for over a decade and, when the reigning CHL champions ply their trade in the same town, it gives you the opportunity to try out some exciting new things. Since 2008, JYP have been using Firstbeat Sports to gauge vital heart rate information during training sessions and games. 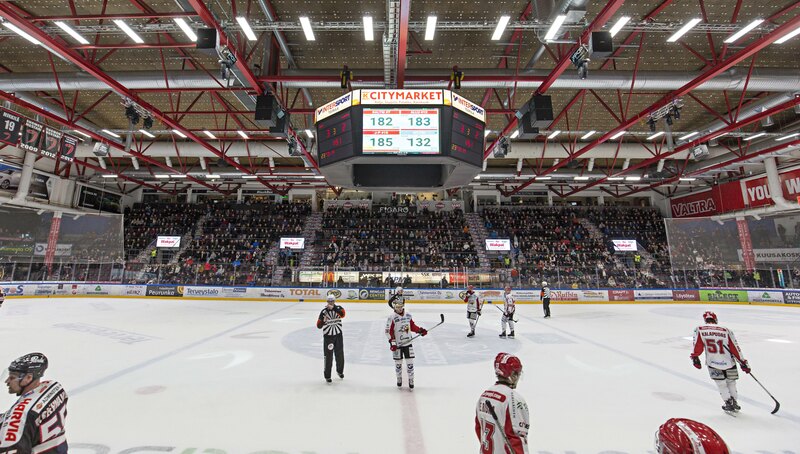 Recently, we teamed up with the Jyväskylä-based team to put that same information into focus during a live game environment. The idea? Equip the head coach, three JYP players, team CEO Aku Vallenius, one referee, a fan and even the team mascot with our heart rate belts for one game – against Vaasan Sport – then show those heart rates on the arena’s media cube at various points throughout the evening. The aim? Create a unique experience for fans and open their eyes to exactly what is going on physiologically on the ice (and under their heroes’ jerseys). From the NBA’s ‘kiss cam’ to half-time entertainment in the English Premier League, fan engagement has long been an important part of the game day experience. This, though, was a potential glimpse into the future as technology played its part in bringing fans a better understanding of what – and who – they were watching in front of them. And there was still time for a little bit of fun too. With the game finishing in a 3-2 win for JYP, there were plenty of moments to get the heart racing, both in the stands and on the ice. However, there was one particularly cool customer during the event. Even with the game close, data suggested JYP’s CEO was confident of getting a result as Mr Vallenius’ heart rate came in at just 88bpm during the game. Everyone involved bought into the special event and it was a great experience that showed the possibilities of heart rate analytics beyond simply helping teams and players prepare and adapt behind the scenes. A great example of this came via a Facebook competition on JYP’s official page ahead of the game. Fans were asked to guess the maximum heart rate of the referee who was to wear a Firstbeat belt, and the closest guess would win Jarkko Immonen‘s jersey. The response to this was huge, with 792 individual comments on the Facebook post. “The event was different to any other match event and Firstbeat received a lot of attention during it,” Koskinen concluded.